Another good read, John. 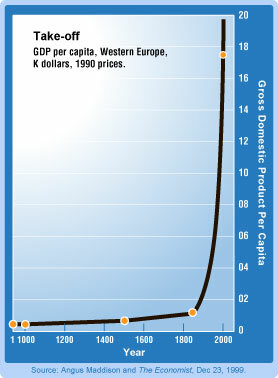 I have one observation, whereas the chart of GDP per capita in Western Europe indicates that “global wealth production now grows almost instantaneously fast over the span of a century,” as you state, for this to continue into the foreseeable future, the global economic system needs to become aware of its subordinate role in the ecosphere. I wrote about this issue in my recent article, The Ecosphere And the Economy. The article discusses the notion of nested Complex Adaptive Systems and Information Theory. I must respectfully disagree with you on the idea that humanity is subordinate to the ecosphere. In the nested CAS hierarchy of Physics>Chem>Bio>Social>[AutonomousTech] I think each becomes in important ways independent of the previous system. I suspect there is both an evolutionary and a developmental teleology (purpose) to the universe that privileges the later-emerging systems with more freedom, understanding, and resilence than the previous systems. I also don’t think our current economy is malignant. I agree its priorities are far less in line with both sustainability and innovation than we would like. But I think that will change, as our digital collective intelligence ramps up greatly over the next generation. Where we may disagree is in how much more of innovation vs. sustainability we need. In my world view, there’s a tension and tradeoff in complex systems between innovation (evolutionary processes) and sustainability (developmental processes), so that neither is ever maximized. I think complex systems need to be sustainable enough to get to the next, significantly more intelligent and resilient complex system, but not more than that. I think innovation is as fundamental a driver as sustainability in the universe, and innovation’s processes, which are usually messy, competitive, and wasteful, directly oppose sustainability. For me, “sustainable innovation” is the basic driver of complex systems, not sustainability or innovation alone. We may have a different world view in that regard, I don’t know. I appreciate your thoughts on my article. I’m guessing that we are a lot closer on some of the issues of apparent disagreement then you think. I specifically referred to the global economic system being a subordinate part of the ecosphere and not humanity overall. After all, economies are only a small subsystem of humanity’s overall creations and existence. I do firmly believe our species is currently an inseparable part of the natural world, and thus is a part of the ecosphere (see note at end). However, some of humanity’s creations are not in tune with larger systems that define the ecosphere. This is inevitable as newly-evolving systems may push the limits of ensconced system parameters, sometimes interfering with the way in which much older-evolved systems interoperate. Over time, either these newer systems find a resonance with the older systems, the older systems are superseded by the newer ones, or the newer systems come to a dead end and fizzle out. Humankind’s economic systems are out of resonance with the larger CASs on which they depend. This is my point. From an Information Theory standpoint, a number of the outputs of the global economy are considered waste byproducts, not fit for reuse. Many of these byproducts currently are not readily accepted as usable inputs in higher-level CASs within the ecosphere. In other words, there is a dissonance. The recent global economic crises which were catalyzed by the financial contagions of the past several years, are perfect examples of a diseased subsystem impacting larger economic and ecospheric tissues. From this standpoint, the metaphor of a malignancy is appropriate in my view. I am not implying that the totality of the global economic tissue is malignant. I’m just suggesting that the tissue has cancerous growths and that those growths are spreading, effecting the rest of the economic tissue and having serious repercussions on higher ecological systems. This imbalance, this dissonance between systems, will eventually be rectified but with what results is unclear. Humanity is in a race with its own technology and culture. Our evolutionary destiny depends on how successful we are at innovating sustainability (sustainable innovation, as you call it). 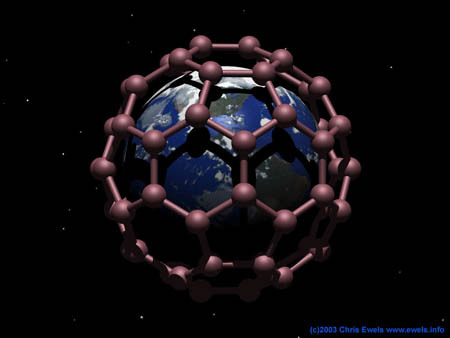 I believe that as humankind works backwards through the physics > chemistry > biology > technology stack, we will begin to merge ourselves more and more with the higher ecospheric CAS systems. As we engineer ever smaller and more powerful solutions, as we integrate our systems more tightly and intimately with other biotic and abiotic systems, and as we expand and evolve our internal systems’ architecture, humanity will find a new homeostatic balance with the rest of the natural world. If we are successful, we will regain resonance with the ecosphere and usher in a degree of sustainability many orders of magnitude greater than most can currently imagine. Of course, we will eventually need to leave the confines of our small ecosphere and venture out into space. By then, we will have transcended the limitations of the ecospheric CAS. But right now, we are entirely dependent on the ecosphere and need to bring our sub-level CAS creations into resonance with the larger ecospheric CAS or face the real possibility of our existence becoming a fleeting, evolutionary dead end. “Human beings are animals. As such, we are part of the natural world. Therefore, everything that humans do is part of the natural process and all of our creations can be considered natural. Thus the word natural is not the appropriate word for separating humankind’s activities or creations from the rest of the ecosystem. Instead, manmade, human made, or artificial should be used. Thanks for the thoughtful response Jeff. I think we do see many of these issues similarly. Maybe just a difference in language. We’ve had swings between plutocracy and democracy for centuries, but the global rich poor divide continues to close, as a whole, as Gapminder.org documents well. This latest 50 year swing toward plutocracy in our some of our leading countries (US, UK, Switzerland) and in emerging nations (China) seems like part of a natural cycle to me. The rest of the industrialized democracies, and the world as a whole, continues to close the rich poor gap, as it has since the feudal era, when the gap was much larger than it is today. I expect the excesses of the financial sector (you call them malignancies, I see them as garden variety moral deviancies and crimes) will correct as democracy gets its day in coming decades. Certainly we have do a lot of hard work to get there, which will require lots of courage and initiative. Look forward to more conversations with you in the future on what we can and should do in that regard. John thanks for sharing this vivid vision. As you know, I’ve been cataloguing “fermi” explanations for a long time. I certainly appreciate your deeply thought-out suggested answer… though it frustrates me the the brightest folks I know — you, Hawking, Kaku, and others, seem always in a rush to pick one answer and declare “this is it!” Doing this in the only scientific field without a scrap of subject matter. ing small, whereupon any individual might access (subjectively) infinite resources and accomplish almost anything. Well, anything except travel to the stars. John deems that a cold, sterile and fruitless occupation that will repel most sapients, once they sample the glories within. “How are you gonna keep them out in the sky, once they’ve seen InnerSpace?” In fact, I am skeptical of this explanation for the Great Silence. It is a version of the Honey Pot hypothesis… that something becomes so alluring to ALL sapient-techno races that none of them forges forth to conquer the galaxy. It had better be a damned effective honey pot! Because that one exception… say a ship full of Hell’s Angels who despise all that cyber crap and colonize another solar system… could be the one seed of likeminded descendants to fill the starlanes. Moreover, this hypothesis ignores the high likelihood that sophonts will want to at least learn about alien races, other cultures, other ways and strange entertainments, far across the great vacuum desert. They might still send emissaries, of the general type that I portray in Existence – crystalline worldlets containing their own immensities, though only a meter or less in size and durable enough to cross the empty interstellar realm. Those who are wise will not abandon the objective universe, altogether, but will find ways to reach across it. To embrace vastness, as well as the voluptuously small. You make a compelling counterargument David. As you say, this field is still so young, and there is room for strange solutions, even ones that bridge both our perspectives. Perhaps as I suggest we’ll discover that the journey to Inner Space is the most effective way to reach across the current universe, rather than crossing the “vacuum desert”, as you call it. Perhaps we’ll discover some who do cross the vacuum desert in every galaxy, yet for reasons still unknown they remain rare enough, that normal space remains, statistically, a desert, in typical galaxies. There seem so many interesting possibilities. Thanks for reminding me to stay open to them all and humble in my claims. Oh, as to the near term, I personally don’t think it is any of my business to tell our children or national leaders what humanity’s ultimate goal or destination will be. I won’t arrogate that perfect vision. You and I do share this much, a belief that confident, forward-looking ambition, combined with tools of the Enlightenment like openness and accountability and curiosity, are most likely to deliver into our kids’ hands the tools that they will need. There are loud voices today preaching fear and despair and hatred of the scientific renaissance. Some even denounce and wage war not only on science but ALL of the professions that steep in knowledge and skill. Those are the enemies of our grandchildren. Specifically, in America, we must fight and win the latest phase of our endless Civil War, choosing – as other generations did – to face the future. Amen. And thanks for all your good work on that front, it inspires so many of us. Amazing how many big ideas you have woven into a single narrative! I am curious about a tradeoff I see as a big pattern. Efficiency often comes at the cost of resilience. Inefficient, evolved cellular mechanisms are resilient. Efficient, designed systems are often brittle (e.g. computer crashes). Do you see a loss of resiliency from STEM efficiency? Great points Miguel. The link between efficiency and resilience seems pretty context dependent to me. I’ve heard that some biological systems, like the photosystems in plants, operate in parts near perfect quantum efficiency. Other parts are quite inefficient, places where selective pressure may not have been sufficiently strong or genetic mechanisms were limited by path dependence, antagonistic plieotropy, or other problems of evolutionary process. And when you bring development into the picture, the relationship gets more complex, because a cycling, developing organism partitions its intelligence between seed, unfolding organism, and environment. Each part of the system may have different efficiencies and resiliencies. Population vs. individual adds another level of complexity. Collectives may be resilient when individuals are brittle and specialized, as a good survival strategy in a fast changing environment. Then there’s the question of whether the efficiency is related to innovation (evolutionary process) or sustainability (developmental process). As usual, many aspects of these fascinating processes seem more complex than our models. I’d like to hear more on this. At present I think there’s a lot of hidden depth to our unthinking, unconscious intuition, and some value in meditation and altered states, but not that much depth to consciousness, which I think is quite recently evolved, of variable quality during our awake life, and quite weak relative to the rest of our brain. We certainly love and prize it, but it is a pretty new and incomplete thing, which lies to us all the time, constructing false narratives about our motives, as clever experiments have shown. Some of my thoughts on consciousness, and links to some books and articles that attempt to explain its physical basis as neural synchronization, can be found at: http://www.brainpreservation.org/index.php?path=overcoming. Search for “Buzsaki” on that page. He has written a fantastic book on the topic. Did you know we can wake up patients who are in persistent vegetative state by giving them Zolpidem? This drug shifts their neural synch from theta to gamma. Consciousness isn’t very mysterious or deep at all, it’s a beautiful, but rather weak and inconsistent process that sits on top of our thinking brain, like foam on the top of a wave. I do think it can get a whole lot more powerful in the future, once we understand it better. a couple of decades of hanging out with gurus, mystics, empaths, intuitives, clairvoyants, healers, and doing practices … hah, i am ruined for anything but broadest-possible-spectrum thinking ..
consciousness is “multidimensional”, a concept outside of science’s current models, though totally obvious to mystics of all traditions. it “contains”, goes from, subtle-energetic to gross-physical .. there is no concept for subtle dimensions or energy in science … so to say consciousness is not deep or mysterious, well, that’s why they invented the teaching story of the blind men and the elephant. to a mystic, consciousness is not made by the brain, the physical measurable perceivable components of the flesh called brain is consciousness in a more solid crystallization .. as is everything else … maybe the scientist can begin to grasp this by an attempt to explain the actual forces that impel the measurable brain activity they rely on for their investigations from the outside looking in. another box to get out of, the one that posits a subject looking at an object .. when after all, it is the subjective that we are interested in … otherwise what is seen is projection or distortion … mysticism 101.
a developed awareness extends into the universe as far as an individual’s sensitivity will allow. “inner space” as a description for progressive refinement in understanding the objective world is a misnomer if one is interested in the inner space of the subjective perceiver. know the knower .. it’s why the sufis say, know that by which all else is known, if one seeks true understanding of existence … they ain’t talking religion, by the way. pure practicality. 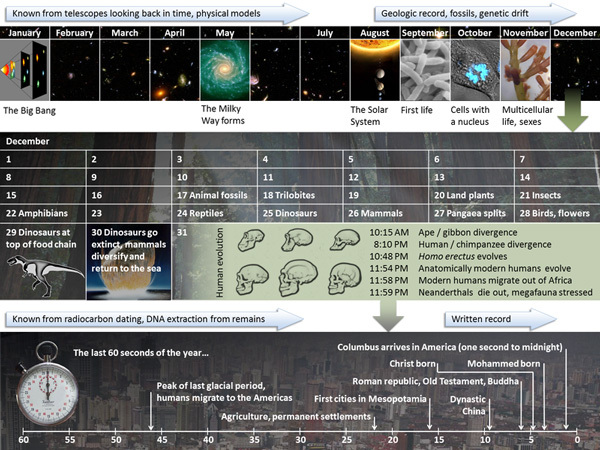 I really like the story arc of human and universal history you’ve created with this post. I also would like see a better scoping of the possibility space we humans are playing within our lifetime. What is the range of outcomes we can create from best case to worst case. Because a developmental system implies constraints and some inevitability. This would help hit it home I think. Humans need to feel a sense of agency in impacting the outcomes. What does economic or ecological collapse look like in the worst case? Is it terrible for the humanity we know, but irrelevant on the universal time scale, because rebound is inevitable from a system perspective or does it actually knock us back from a universal perspective? What diversity do we lose or do we have a chance to preserve? How much does greater diversity matter for the next level of the developmental system? etc. Great post. I like your distinction between maps and tools. Perhaps you could also add strategies, actions, and followup/feedback to that list as pretty fundamental aspects of changemaking. I tried to address some near-term strategies and actions in the last four paragraphs of my post. Since your post I went back and added some data to quantify the current level of nanotech and infotech funding in the US, to show a bit clearer one of the political strategies available to us. Exploring the range of evolutionary developmental outcomes we might see given our range of options would be an excellent project. Futurists essentially try to do that in much of their scenario and forecasting work, though unfortunately such work is usually rather light on charting and appreciating accelerating technological trends and their benefits, as I’ve mentioned. One of the problems with this work comes with respect to paying appropriate attention to developmental immunity or resilience. If in fact our planet is getting more resilient to catastrophe, on average, over time, then what humans do to make the system fail will be increasingly less likely to have a deep impact, over time. That’s not to say failure states don’t exist, as biological development has many of them, but at the same time, the more complex a developmental process becomes, the less of those states there are. People don’t like to think that way. They like to believe their individual agency is only increasing with time and complexity. But if humans, while growing in personal agency, are also becoming parts of an emerging collective intelligence, and it is that collective that is creating the new constraints and resiliency, then to truly understand how to drive the system we should be spending more of our time understanding how to advance that collective intelligence, and less on us, in regard to the resiliency issue. If developmental immunity exists, then works like Pinker’s The Better Angels Of Our Nature, 2011, are right, and we’ll continue to see the reduction of violence, crime and other failure modes of human interaction in coming years, due to an emerging collective intelligence and morality we are still only dimly acknowledging. We can continue to overreact and overspend on percieved threats, tell ourselves scare stories of coming collapses, etc. That’s our choice, and self-preventing prophecies (motivating scare stories) can be quite valuable at times, but they often hobble us, by painting a false picture of the world, and delaying the positive transition we don’t want to see. Increasingly we will be better off looking at what works, trying to understand why it works, where it’s going, and figuring out how to aid the development. Consider all the folks who work pro bono on collective platforms like wikipedia, open source, Kiva.org, Witness, etc. or who are paid quite well but are creating key proprietary technology platforms that are growing the global information sphere and economy, like android or iOS. How much do those advances accelerate the whole system’s learning and productive ability? How can we measure this, with new economic disciplines like cost benefit analysis? What are the great new collective efforts we could engage in that would most greatly advance global intelligence, learning ability, and resiliency? Let me end by suggesting one, in the Education space: When will we build a free video-rich platform to learn English from birth, one that uses voice-driven natural language processing engine and works better than Rosetta Stone, and is available to everyone everywhere with access to a smartphone or tablet? How many new jobs, how much new collaboration would this bring to the underemployed and talented global youth we can soon connect with online, to work with us in our increasingly virtual projects and companies? I’d love to see this as a top priority, funded by the US government and lots of top corporations. Top scorers on this game-based learning platform should be able to compete for a very expanded pool of work visas to come to the US, and if they create jobs here, they should get citizenship. We could call it America’s Language, in a nod to America’s Army, another clever and valuable online game, but one I would rank as less important than this one. Later on we can add math, programming, and other science modules, as these are also critical languages that have built America. As the world’s innovation and economic leaders, we should lead. Getting a billion new kids speaking our language and a hundred million of them working with us, here or there, over the next 20 years, including some of the 1 billion new kids who will be born in slum cities between now and 2040, would be a great achievement, and a great way to uplift the world and ourselves. I’ll try to explore this more as one of my next posts. “(Another core group not discussed here is Deliberate Practice, of both the interior and the exterior. This is what creates movement along developmental maps)”. I think strategies could potentially fall under mapmaking, as possible evolutionary paths towards a developmental goal. Right. The problem with most people’s forecasts, is as soon as they have one fundamental assumption wrong, their model is usually fatally crippled. And most models have more than one fatally wrong assumption. One of the most frequent is probably not taking into account accelerating trends, but in this case the role of developmental immunity is the far subtler one, and the reason there probably isn’t much good work outlining the range of plausible scenarios. I like the distinction on collective agency rather than individual agency. So we should be asking, what can “we as humanity” affect, rather than what can “I as an individual” affect. I also like the idea that we need more collective platforms and that quantifying them might be able to drive more capital towards their creation. The value I have received from Wikipedia is immense but very difficult to calculate. How could cost benefit analysis do the trick? Love the language idea. I was thinking if anybody would/could object to declaring English the standard (although it’s already defacto), but it makes sense if the US government is the funder. I was just reading how Google sponsored all sorts of python community programs and same with Sun and Java. It makes sense for successful entities to invest in the spread of their languages even though the ROI isn’t so linear. The Right Ideas for (research) projects. Entrepreneurs. Employees. Investors. Government Officials. I think this is one of the key challenges we need to help each other better address. The better we can measure all the intangible ideas we kick around as possible next action projects, the better we can find those developmental attractors that the greatest number of us think would have the greatest set of positive consequences. We should study the way they are valued today, and improve those measures. If our gut tells us a global Wikipedia would provide particularly great social value, but that only part of that value is captured by standard economic measures, we need to find those additional measures that do adequately capture it’s value, and use those more comprehensive measures to look for and assess proposals that might have an equivalent major social benefit, like the America’s Language proposal I suggested. Places like Northeastern U, which just launched a big initiative to hire faculty to do research and education on solutions to global grand challenges, Singularity U, and any of the other places looking for the biggest positive impacts they might get from tech could benefit from these kinds of approaches. Unfortunately, like foresight itself, there aren’t that many people in this game yet, and few web platforms for it. If you or others on this blog would be interested in looking around for and playing with CBA+foresight platforms that are being used for assessing existing and proposed IT and nano advances, I’d be game. We might start with Recorded Future, one of the interesting proprietary foresight platforms I’d like to spend more time with. Doug Hubbard’s work looks great. I bookmarked it on amazon and hope to read it at some point. I just had a thought about how to finance Wikipedia and other non profit solutions. I think if we had transparent analytics about Time Spent on Site, Networth and Costs needed to run Wikipedia we could pretty easily calculate a subscription model for how much people would pay. If people make less than say 75,000 a year wikipedia is free. Then create some sliding scale of payment that also takes into account how much wikipedia needs to run. So someone who earns $100,000k a year and spent 250 hours over the last year on wikipedia would be charged say $150. There could also be a range. You could choose to pay $250 if you wanted to finance growth into other languages for example. This could all dynamically adjust based on a few variables. The core idea here is that wealthy people should be able to subsidize the learning cost of poorer people. This should lead to a virtuous cycle as long as the product is related to “learning”. Since learning should have a very high ROI that would get returned to the wealthy person indirectly through the products, services, and art these more educated people create. That would be a cool app. I would play with it if Wikipedia set it up, but I’d also want to give them feedback with my donations. Ever since they moved to expensive offices in SF I’ve felt they are spending more on overhead than they should. They also need a transparency link next to their top-of-page pitches for money, showing us in one page where those funds are going. The pitches used to be short term, now they seem perennial. Feels like regression, not progress, and makes me want to donate to competitors, like Scholarpedia. Your core idea is great and I subscribe to it, but I don’t think the rich do, beyond the 10% who’ve got strong variants of the Charity Gene. They realize that the poor’s marginal rate of learning from education is much much greater than theirs, and they don’t want the competition. From their perspective more social learning is a often a negative sum, not a positive sum game. That’s why we have to put them in the cage of social democracy and enact high progressive income tax and even higher inheritance tax. We need to remind them where they got their wealth from, and return most of it to society when they pass, or the whole system gets out of whack. Fortunately most of the European democracies have figured that out, and I am confident that we will eventually too. Fantastic links James. Thanks for sharing them. This question, just how much income and wealth inequality democratic societies need to maximize innovation without compromising sustainability, is to me a key question that comparative political science and economics can help us discover in coming years. 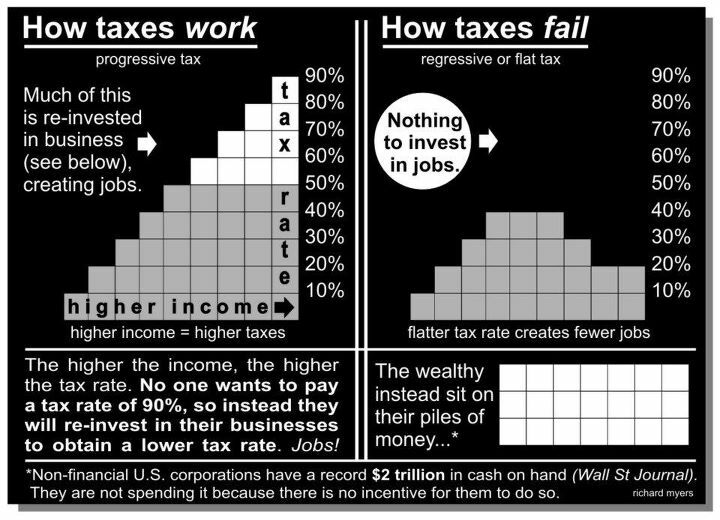 It seems obvious that too much equality stifles innovation and too much inequality allows the rich to capture the political system, create cartels at the top of industries, and destroy fair competition. Many would say that the US, UK, Switzerland, Israel, and a few other countries have seen that happen in the last 50 years. It also seems obvious, to me at least, that we want much more intergenerational asset equality than we want intragenerational income equality. We want those who innovate to be rewarded by rapid income gains, but when it comes time to pass that on to the next generation, I think we want to avoid the curse of too much unearned wealth corrupting and demotivating the inheritors. Bill Gates, Buffett, and a few other wealthy philanthropists seem to have figured that out. To me the billion dollar question is how much differential we want in both income and assets between the richest and poorest in social democratic capitalist societies. In the future, I’d love to see data on the differential between the highest and lowest paid worker in every country and company I buy from. And I expect the web to give me that data, automatically. What I don’t know is what the ideal differential should be. I’m sure the differential we see in Germany is more ideal than we see in the US however. That much is obvious, to me at least. came across a description of weak intelligence. Let’s say you upload a copy of a human brain to a computer and then let the upload run a thousand times faster than the biological brain. Then the external world would appear to the upload to be slowed down by a factor of a thousand. One second of objective time would correspond to 17 minutes of subjective time. So imagine you were the upload and you were placed in a robot body. Lifting your arm would take 17 minutes. That’s horrible ! And if the computer was a million times faster, 1 second corresponds to 277 hours. From your perspective, the world is frozen in time. I’m wondering if this could be a general trend. If you take some super-intelligence with super-fast thought processes and place it in our macro-world, would the world freeze (from its point of view, of course) ? I think some underestimate the immense challenge of travelling between the stars. The distances are mind-boggling, and the interstellar medium is an unfriendly place with dangerous radiation. We wouldn’t see some biological aliens coming in spaceships to Earth. If anyone would show up, it would most likely be AI, and most likely super-alien and super-human AI. If you combine the attractiveness of inner space with the unattractiveness of the external world slowing down, no aliens would ever come to Earth, or to other planets. Can you avoid the slow-down effect ? If you slow down your thought processes, that would essentially kill you. I wouldn’t want to have a brain capacity as an ant. This effect will pose a challenge to future AI on Earth, so I’m sure someone have found a solution to this problem. Vernor Vinge has written some science fiction around this idea, and I’m sure others have as well. You note that lifting the arm in outer space would take 17 minutes of subjective time. But lifting something in inner space would still scale with the acceleration of your electronic thinking. Note that physical transformations in inner space, such as rearranging atoms, or doing quantum computations, would occur very fast, and I’d expect many (most?) would be unsimulable by the computer (unsimulable to self, be acts of “free will”). Human brains have many events happening at femtosecond speeds all the time, but I think there is little intelligence in them. Only what has been evolved by lower level processes. So as higher intelligence migrates to inner space, we seem very likely to port our action and physical transformation there as well. I found the description of time compression in your article. Here you compare the intelligence of humans to plants, as a scale for the difference between human intelligence and super-human AI. It’s very interesting and also frightening to think about. We are used to being, by far, the most intelligent creature on Earth. To be reduced to plants is hard to understand and accept, even for me who has a good idea of where our technology is heading. It seems like a natural solution to the Fermi paradox. Why would you expect alien civilizations to have the same level of intelligence as us, if they have evolved to cross interstellar space ? You wouldn’t. How to communicate with such AI ? How would a plant talk to us ? It’s impossible. What would they look like if they came here ? If they have moved to inner space, we can’t see them. If they have some macro-size, wouldn’t they be moving around close to the speed of light, or else their outer world would freeze in time ? You bring up a great point. It is a bit frightening to think about the scale of the speedups we are seeing and may continue to see. But at the same time it’s exciting, when you realize how far we’ve come already, how well protected Earth’s complexity appears to be by comparison to the past, and how fast certain changes are now going on a daily basis. We need to help people move from fear to active optimism. There is so much more we could do to help others see and better analyze, invest in, and critique these changes and to make more intelligent personal and collective decisions. Great post John! One of the things that stands out to me is when you talk about the media’s failure of vision and parochial attitude. What steps can we can take to encourage the media to report on accelerating change and the trend toward Inner Space? We can all make a difference by sharing these ideas and information about our path to Inner Space with others, and as you mention at the end, rewarding politicians and companies for innovation and efficiency. But what event or social change will finally cause companies and government to prioritize science R&D and technical proficiency on a massive scale? Groups like H+ and Foresight and Kurzweil are doing their part, and the number of singularity-related blogs and communities is growing steadily, but I don’t think things have “tipped” yet, to the point where a major media outlet is putting these issues at the heart of their content strategy, and delivering actionable tools and strategies for the everyday person. How we get there isn’t clear to me, and I think its something we need to keep talking about. Discussing such topics is a major reason I started this blog, so thanks for joining the community and sharing your insights. To your last point, I’m not sure if there will be a single event or series of events that will push our leading countries in this direction. Perhaps further waves of technological unemployment / jobless recoveries, but then again, perhaps not. I do think certain companies and governments are much better at leveraging accelerating technology than others. We can do a lot as individuals to find and invest in those companies, and in the currencies and bonds of those governments, taking a Planetary Citizen perspective. That makes us better equipped as individuals and it gives our Countries of Residence valuable feedback that they need to get with the program or they will continue to lose assets and allies. I expect to share more of my own strategies in this regard here in the future, and look forward to hearing others. Thanks for another thought provoking post. I’m just waiting for our iPhones to become the next intelligent species on Earth. After taking flight as drones and dominating the world they leave us behind to conquer the universe for all phone kind.